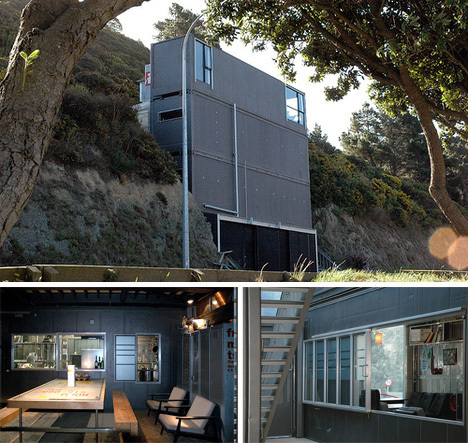 This industrial-looking cliffside shipping container home sits beside a road in Wellington, New Zealand. Its unique exterior draws lots of looks from passers-by, but the interior is truly stunning. Its modern/industrial feel features smooth lines, , thick slabs, sharp corners, and even a bit of exposed hillside in the stairwell.